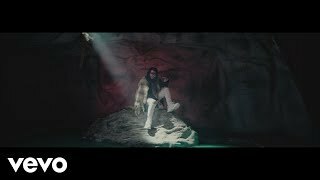 El exitoso cantautor Farruko nos presenta su nuevo tema, “Nadie”. Escucha esta nueva canción y todos sus exitosas colaboraciones con artistas como Pedro Capó, Bad Bunny, Rvssian, Nicky Jam, J Balvin, Shaggy y más. Farruko, cuyo nombre de pila es Carlos Efrén Reyes Rosado, nació en Bayamón, Puerto Rico, el 2 de mayo del 1991. Este cantautor es considerado por los expertos como el fenómeno musical de estos tiempos por su gran versatilidad musical e interpretativa. Farruko ha demostrado de manera contundente, su total dominio en la mayoría de los sub-géneros de la música urbana como el Reggaeton, Rap, Hip Hop, R&B y ahora el Trap Latino. El artista también ha salido airoso en sus incursiones en el Pop, la Bachata, el Mambo, y el Vallenato. Carlos Efren Reyes Rosado, better known as Farruko, was born in Bayamon, Puerto Rico, on May 2, 1991. This singer-songwriter is considered by experts as a musical phenomenon of our times for his great musical versatility performance expertise. Farruko has consistently demonstrated his dominion over most sub-genres of urban music like Reggaeton, Rap, Hip Hop, R & B and now Trap Latino. He has also proved his adaptability, crossing over into pop, bachata, mambo and vallenato genres. Encuentra todas las fechas de conciertos, giras, y eventos aquí. No te pierdas el nuevo video de Farruko, “Nadie”. 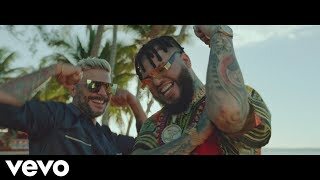 Mira este video y otros videos populares, incluyendo todos sus éxitos como, “Calma” (Remix) con Pedro Capó, “Krippy Kush” junto a Bad Bunny & Rvssian, “Chillax”, “Obsesionado”, “Sunset” con Shaggy & Nicky Jam, y “Ponle” con Rvssian & J Balvin. Farruko has released several albums, delighting the fans production after production. In 2011, Farruko introduced us to his first solo album, “El Talento del Bloque,” which contains 13 songs written mostly by the artist himself and included collaborations with Jose Feliciano in “Su Hija Me Gusta” and Daddy Yankee in “Romper La Discoteca.” A year later, in 2012, the artist launches his second album, “TMPR *THE MOST POWERFUL ROOKIE,” which earned a nomination for Best Urban Album of the Year at the prestigious Latin Grammy 2012. In 2013, Farruko launched his third album “Imperio Nazza – Farruko Edition,” with which he toured around major U.S. Hispanic markets throughout the year, earning more notoriety and helping his fans put a face to the voice that was already taking over the airwaves, websites and digital sales charts. Part of this album was his internationally popular hit song, “Besas Tan Bien,” which reached the Top 20 in Billboard’s Latin Rhythm chart and stayed there for more than 16 consecutive weeks, and 21 weeks in total. Throughout 2014, Farruko positioned himself firmly among the most successful artist of the genre. The singer gave life to two of the most successful tracks of the year, simultaneously positioned at the top of the charts: “6 AM” feat. J Balvin (dominating the #1 position on Billboard for approximately 16 weeks) and “Passion Whine” feat. Sean Paul (#1 on radio charts on three occasions, RIAA Platinum song on digital sales). Following the overwhelming success of the first single, “Passion Whine,” Farruko launched his fourth studio production, “Los Menores.” The album debuted #1 in sales in the U.S., Colombia, Dominican Republic and Honduras; Top 5 in Argentina, Ecuador, Panama, Paraguay and Peru; and Top 20 in Mexico and Nicaragua, and quickly reached #1 on the Billboard’s Latin Rhythm Albums chart. Showing his expertise, Farruko continued creating dynamic partnerships. The artist recruited the acclaimed producer, Rvssian, and his colleagues Shaggy and Nikki Jam to create the song that turned up the temperature of summer 2015, “Sunset.” With this new single, Farruko swept Billboard’s charts, dominating the coveted #1 spot for several weeks. Among the many accomplishments of 2015, Farruko also set out to visit his fans in every corner of the U.S. with his major North American tour, Los Menores Bus Tour, which visited more than 40 cities. In October 2015, Farruko delights the masses with yet another new album, “Visionary.” The album was released in pre-sale and in just hours, it reached the #1 position in iTunes’ “Top Latin Albums” list, position in which it stayed until three weeks after its official launch. In late February, the artist launched the music video for “Obsesionado,” which gathered over 1 million views on his official VEVO channel in less than 24 hours from its release. Continuing achieving milestones, in March, Farruko began his world tour, the “Visionary World Tour,” which started with 14 concerts in Europe that left a trail of euphoria throughout France, Italy, Spain, Switzerland and The Netherlands with completely soldout shows in each city. Bringing out the fresh summer beats of the Caribbean and fusing them with infectious urban rhythms, Farruko collaborated with Ky-Mani Marley to create an international hit that would dominate sales and popularity charts across the continent, “Chillax.” The single conquered the coveted #1 position for several consecutive weeks of Billboard’s “Latin Airplay,” “Latin Rhythm Airplay” and “Latin Pop Airplay” charts. Summer of 2016 proved to be as successful, as the artist joined forces with Pitbull as a special guest on his North American tour, “The Bad Man Tour,” with Prince Royce, visiting more than 20 cities across the U.S. and Canada. Continuing to spread his musical vision across the world, the artist returns to his native Puerto Rico to paralyze the island with an unforgettable, and completely sold-out, show at the Coliseo Jose Miguel Agrelot, marking the return of the artist to the island and making history as one of the greatest concerts in the most important venue of the Caribbean. Not stopping there, Farruko kept fortifying his stand as the king of reggaeton with a massive, sold-out concert at the legendary Palacio de los Deportes of Mexico City in front of over 11 thousand people. Recognizing the need for change and evolution in the industry, Farruko began to dabble onto the world of Trap Latino last year, after identifying a lack of representation for the subgenre in the general market. The artist shocked the masses with the first official single off the album, “Don’t Let Go,” with a controversial video that focused on the reality behind some of the issues immigrants face these days and how intolerance is setting biased and prejudiced events in motion. Due to his successful career and extensive musical repertoire, Farruko was asked to lead the Latin Trap Panel during the Billboard Latin Music Conference 2017. To build up the momentum for the album, he set out to conquer the nation with the “TrapXficante U.S. Tour,” which has delighted thousands of fans with sold out concerts in more than 25 cities coast to coast, showcasing his dominance of the genre. Then, the artist created a true sensation that sent urban music fans in a frenzy with the release of “Krippy Kush” feat. Bad Bunny and Rvssian. The song was the highest-ranking debut of the week on Billboard’s Hot Latin Songs chart and immediately became an instant Trap Latino hit millions of streams and the music video gathering more than 50 million views within a few weeks after its release. The song has been so iconic that it has allowed the artist to cross over to the general market, with people all over the U.S. dancing along its infectious rhythm. Farruko worked non-stop to perfect a flawless blend of trap with the urban flair that has built his career and bringing it all together in his new album, “TrapXficante,” released in September 2017. The innovative fusion of sounds has breathed new life and revolutionized the genre, while further solidifying Farruko’s stand as a visionary in the industry. The album debuted in the coveted #1 position on Nielsen Soundscan’s “Current Latin Albums” chart, making history being the first Latin trap album released to accomplish this feat. “TrapXficante” also debuted #3 in Billboard’s Top Latin Albums chart. Later in the year, Farruko celebrated the release of the official remix of “Krippy Kush,” alongside urban music greats, Nicky Minaj and 21 Savage. One week after its release, the song and video landed on top positions on the digital charts for several platforms including Spotify’s “Global Viral 50” and “US Viral 50” charts and Apple Music’s “Best Of The Week.” Moreover, the remix dominated the top of sales and popularity charts in over 15 countries, as well as the Top 5 of iTunes’ Latin Chart and the Top 10 of Shazam’s Top Future Hits. Closing 2017 in style, Farruko culminated the TrapXficante Euro Tour, with which he delighted tens of thousands of fans, leaving them dancing across the continent. The tour took the artist to visit more than 10 cities across England, Germany, Israel, Italy, Spain, Switzerland and The Netherlands, with completely sold-out concerts in front of audiences of more than 5,000 spectators. In 2018, Farruko continued his mission to conquer the world with his music, and he began doing so with his 2018 World Tour. To begin, the North American leg of the 2018 World Tour is taking Farruko to wow his fans in over 25 cities across the U.S. with special guest, Lary Over. From Connecticut and New York, to Arizona, California and even Canada, Farruko will leave a trail of euphoria throughout the continent. Ahora, tras el lanzamiento de su muy esperado nuevo sencillo, “Inolvidable,” en junio, Farruko vuelve a sus raíces y le ofrece a sus fans la contagiosa fusión de musica urbana con ritmos caribeños que ha marcado muchos de sus éxitos internacionales. The single garnered more than 50 million views on YouTube, just weeks after its release, as well as stood among several popularity charts on various digital music platforms. This year, Farruko also joined Becky G and French Montana for the single, “Zooted,” which has positioned him as one of the leading Latin urban artists in the American general market. Not stopping for a moment, Farruko surprised his fans with yet another new single, “Coolant,” which brought back the classic rhythms of good old fashioned reggaeton. Farruko recruited choreographer and actor Casper Smart, and influencer Melvin Gregg, to create a music video that became a fan favorite around the world. In September, Farruko joins forces once again with J Balvin and Rvssian to give the fans an infectious song, “Ponle,” which, accompanied by a fun choreography in the video, has become a sensation with more than 25 million views in just two weeks following its release. Farruko nos ha presentado varios álbumes, deleitando a sus fans de producción en producción. En el 2011, Farruko lanza “El Talento del Bloque,” su primer álbum como solista y el cual contiene 13 temas compuestos en su mayoría por el propio artista. Destacan las participaciones de José Feliciano en “Su Hija Me Gusta” y “Romper La Discoteca” junto a Daddy Yankee. 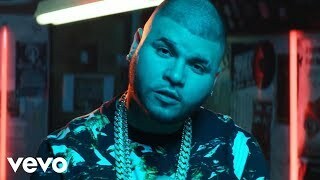 Un año después, en el 2012, Farruko lanza al mercado su segundo disco titulado “TMPR* THE MOST POWERFUL ROOKIE,” el cual obtuvo la nominación al mejor disco urbano del año para el Latin Grammy 2012. En el 2013, Farruko presenta su tercera producción discográfica “Imperio Nazza – Farruko Edition,” con el cual recorrió los mercados Hispanos más importantes de U.S. a lo largo del año, dándose a conocer aún más y poniéndole cara a la voz que ya venia apoderándose de las ondas radiales, sitios web y listados de venta digital. Parte de este álbum es su mega éxito, “Besa Tan Bien,” tema que mantuvo una posición en el Top 20 del listado Latin Rhythm de Billboard por más de 16 semanas consecutivas y 21 semanas en total. En el transcurso del año 2014 Farruko se posicionó firmemente entre los exponentes más exitosos de su género. El intérprete le dio vida a dos de los temas más éxitos del año que simultáneamente se posicionaron en la cima de las carteleras; “6AM” junto a J Balvin (apoderado de la posición #1 de Billboard por aproximadamente 16 semanas) y “Passion Whine” junto a Sean Paul (#1 radial en 3 ocasiones, tema de ventas digitales RIAA Platino). 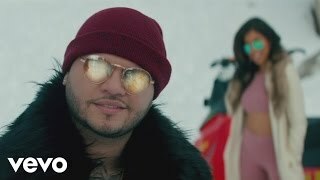 Tras el éxito abrumador del primer corte promocional, “Passion Whine,” Farruko lanza a nivel mundial su cuarta producción titulada “Los Menores.” El álbum debutó #1 a nivel de ventas en EE.UU., Colombia, Honduras y República Dominicana; Top 5 en Argentina, Ecuador, Panamá, Paraguay y Perú; y Top 20 en México y Nicaragua, y el álbum rápidamente alcanzó la posición #1 de la lista “Latin Rhythm Albums” de la revista Billboard. Para seguir creando colaboraciones dinámicas, Farruko reclutó al aclamado productor Rvssian, y a sus colegas Shaggy y Nikki Jam para crear la canción que le subió la temperatura a la temporada, “Sunset.” Con este nuevo sencillo, Farruko arrasó con las listas de popularidad de la revista Billboard, apoderándose y dominando la codiciada posición #1 por varias semanas consecutivas. Entre tantos éxitos del 2015, Farruko también se dispuso a visitar a sus fanáticos en cada esquina de los EE.UU. con su gran gira Norteamericana, Los Menores Bus Tour. Durante esta gira, el artista Aprovechando el impulso sublime de un año transcendental, en octubre, Farruko lanza un nuevo álbum para deleitar a las masas, “Visionary.” El álbum estuvo en preventa y a solo horas, alcanzó la posición #1 de la lista “Top Latin Albums” de la tienda digital iTunes, posición en la que se quedó hasta tres semanas después de su lanzamiento oficial. A finales de febrero, el artista lanza el video musical de “Obsesionado” y recibió más de 1 millón de reproducciones en su canal Vevo oficial en menos de 24 horas desde su estreno. Continuando con tantos hitos, en marzo, Farruko empezó su gira mundial, el “VISIONARY WORLD TOUR,” el cual empezó con 14 conciertos por Europa con los cuales dejó un rastro de euforia por España, Francia, Holanda, Italia y Suiza, con conciertos completamente agotados en cada ciudad. Dándole énfasis a los sonidos frescos y veraneños del Caribe y fusionandolos con infecciosos ritmos urbanos, Farruko colaboró con Ky-Mani Marley para crear un exito internacional que dominaría listados de venta y popularidad de todo el continente, “CHILLAX.” El sencillo conquistó la codiciada posicion #1 de los listados “Latin Airplay,” “Latin Rhythm Airplay” y “Latin Pop Airplay” de la revista Billboard por varias semanas consecutivas. Con la mission de seguir llevando su visión musical a traves de todo el mundo, el artista regresa a su natal Puerto Rico para paralizar a la isla con un espectáculo inolvidable y a llenos totals en el Coliseo José Miguel Agrelot, marcando el regreso del artista a la isla y haciendo historia como uno de los conciertos más grandes en la sala más importante del Caribe. Farruko no se detuvo allí ya que siguió fortificando su posición como el rey del reggaeton con un concierto masivo y una vez más completamente repleto en el legendario Palacio de los Deportes de la Ciudad de México frente a más de 11 mil personas. Reconociendo la necesidad de cambio y evolución en la industria, Farruko decidió mostrar una innovadora fusión que revolucionará al género de la música urbana Latina – fusionar el ritmo de la música trap con el estilo urbano que ha propulsado su carrera hasta ahora. Farruko comenzó a incursionarse en el mundo del Trap Latino el año pasado, luego de identificar una falta de representación del subgénero en el mercado general. El artista deleitó a las masas con el primer sencillo oficial del álbum, “Don’t Let Go,” y su video que se centra en la realidad detrás de varios de los problemas que enfrentan los inmigrantes actualmente y cómo la intolerancia está creando eventos discriminantes y llenos de prejuicio. Luego, el artista creó una verdadera sensación que dejó a los fans de música urbana en total estasis con el lanzamiento de “Krippy Kush” feat. Bad Bunny y Rvssian. 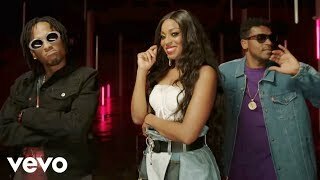 La canción fue el debut más alto de la semana en la lista Hot Latin Songs de la revista Billboard y de inmediato se convirtió en un éxito instantáneo del Trap Latino con más de 10 millones de reproducciones digitales y su video musical ya cuenta con más de 50 millones de reproducciones. La canción ha sido tan icónica que le ha permitido al artista cruzar al mercado americano, con gente a través de todo el país bailando al infeccioso ritmo de esta canción. Farruko trabajó sin parar para perfeccionar una mezcla ideal del trap con el estilo urbano que lo ha caracterizado a lo largo de su carrera, presentándolo en su nuevo álbum, “TrapXficante,” lanzado en septiembre. La innovadora fusión de sonidos le ha dado nueva vida y revolucionado el género, mientras solidifica aún más a Farruko como un visionario en la industria. El álbum debutó en la codiciada posición #1 del listado Nielsen Soundscan “Current Latin Albums,” marcando la historia como el primer álbum de trap latino en alcanzar este logro. “TrapXficante” también debutó en la posición #3 de la cartelera Top Latin Albums de la revista Billboard. Más adelante en el año, Farruko celebra el estreno del remix oficial de “Krippy Kush,” junto a grandes de la música urbana americana, Nicky Minaj y 21 Savage. Una semana después de su lanzamiento, la canción y el video llegaron a las primeras posiciones en las listas digitales de varias plataformas, incluidas las listas “Global Viral 50” y “US Viral50” de Spotify, y “Best Of The Week” de Apple Music. Además, el remix encabezó los listados de ventas y popularidad en más de 15 países, así como el Top 5 del listado Latino de iTunes y el Top 10 de la cartelera “Top Future Hits” de Shazam. Para cerrar el 2017 con estilo, Farruko culminó su el TrapXficante Euro Tour, con el que puso a bailar a decenas de miles de fanáticos a través del continente. La gira visitó a más de 10 ciudades por Alemania, España, Holanda, Inglaterra, Israel, Italia y Suiza, con conciertos a llenos totales, frente a audiencias de más de 5,000 espectadores. En el 2018, Farruko continuó su misión de conquistar el mundo con su música, y comenzó a hacerlo con su 2018 World Tour. Para empezar, la etapa norteamericana de su World Tour 2018 lo está llevando a deleitar a sus fans en más de 25 ciudades de EE.UU. con invitado especial, Lary Over. 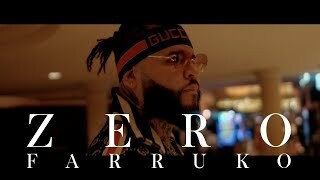 Desde Connecticut y Nueva York, hasta Arizona, California e incluso Canadá, Farruko dejará una estela de euforia por todo el continente. Tras el lanzamiento de su muy esperado nuevo sencillo, “Inolvidable,” en junio, Farruko vuelve a sus raíces y le ofrece a sus fans la contagiosa fusión de musica urbana con ritmos caribeños que ha marcado muchos de sus éxitos internacionales. El sencillo alcanzó recaudar más de 50 millones de reproducciones en YouTube en tan solo semanas de su lanzamiento, así como también se posicionó en listados de popularidad en varias plataformas digitales de música. Este año, Farruko también se unió a Becky G y French Montana para el sencillo, “Zooted,” el cual lo ha posicionado como uno de los principales artistas de la música urbana Latina en el mercado general americano. 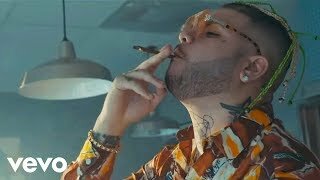 Sin parar ni un momento, Farruko sorprendió a sus fans con otro nuevo sencillo, “Coolant,” el que trajo de vuelta el ritmo clásico del reggaetón. Farruko reclutó al coreografo y actor Casper Smart, y al influencer Melvin Gregg, para crear un video musical que se convirtió en un favorito de todo el publico. 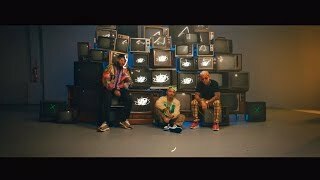 En Septiembre, Farruko une fuerzas una vez más con J Balvin y Rvssian para entregarle a los fanáticos una infecciosa canción, “Ponle,” que acompañada por una divertida coreografía en el video, se ha convertido en una sensación con más de 25 millones de reproducciones en tan solos dos semanas de su lanzamiento.